A common name amongst OWW – unidentifiable without initials. SMART, NEWTON REGINALD, brother of John Henry Smart (qv) ; b. 23 Jan 1831 ; adm. 26 Sep 1844 ; QS (Capt.) 1845 ; rowed v.Eton 29 Jul 1847 ; Capt. of the School 1848 ; elected to Christ Church, Oxford 1849, matr.31 May 1849, Westminster Student 1849-67 ; BA 1853 ; MA 1856 ; adm.Lincoln’s Inn 14 Nov 1853, called to bar 30 Apr 1857 ; equity draughtsman and conveyancer ; [unm. in 1881] ; d. 13 Jun 1897. DUNCAN, ALEXANDER, brother of Francis Duncan (qv) ; b. 16 Dec 1809 ; adm.13 Jan 1823 ; KS 1824 ; Trinity Coll.Cambridge, adm.pens.17 May 1828, matr.Mich.1828 ; MA 1834. 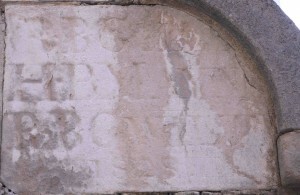 RANDOLPH, JOHN JAMES, son of Thomas Randolph (KS 1801, qv) ; b. 8 Nov 1816 ; adm. 16 Jan 1828 ; KS (Capt.) 1829 ; Capt. of the School 1832 ; elected head to Christ Church, Oxford 1834, matr. 15 May 1834, Westminster Student ; Chancellor’s Prize for Latin Verse 1837 ; 1st cl.Classics and 2nd cl.Mathematics 1837 ; BA 1838 ; MA 1841 ; Fellow, Merton Coll. 1840, Tutor and Dean 1841, Bursar 1842, Sub-Warden 1846 ; adm.Lincoln’s Inn 19 Apr 1838, called to bar 7 Jun 1844 ; d. 6 Jul 1899. GOODENOUGH, ARTHUR CYRIL, son of Robert Philip Goodenough (qv) ; b. 21 Feb 1815 ; adm. 22 May 1826 (G) ; KS 1829 ; left 1833 ; Ensign, 34th Foot 8 Apr 1834 ; Lieut., 25 Nov 1836 ; Capt., 26 Oct 1841 ; Maj., 27 Mar 1848 ; Brevet Lieut.-Col., 6 Jan 1855 ; Lieut.-Col. commanding a depot battalion 1 Oct 1856 ; Col., 24 Jun 1858 ; Maj.-Gen., 6 Mar 1858 ; Lieut.-Gen., 1 Oct 1877 ; CB 2 Jan 1857 ; distinguished service pension ; served in Crimean War ; d. 29 Nov 1879. HICKSON, ROBERT, son of John Hickson DCL, Grove Dingle, co.Kerry, and Barbara, eldest dau. of John Mahony, Dromore Castle, co.Kerry ; b. 13 Dec 1814 ; adm.12 Feb 1827 ; KS 1829 ; elected to Christ Church, Oxford 1833, matr.23 May 1833, Westminster Student ; adm.Lincoln’s Inn 9 Jun 1836, King’s Inns, Dublin 1840 ; of Ballintaggart, co.Kerry ; JP ; m. 3 Jun 1843 Julia Sophia, second dau. of William Sadleir Bruere, Berwick ; d. 18 Aug 1851. GOODENOUGH, FREDERICK ADDINGTON, eldest son of Edmund Goodenough (KS 1797, qv) ; b. 6 Jul 1827 ; adm. 18 Sep 1839 ; QS 1841 ; rowed against Eton 1 Aug 1843, 29 Jul 1845 ; Capt. of the School 1845 ; left 23 Jan 1846 ; a merchant at Calcutta ; m. 17 Oct 1861 Mary, eldest dau. of Rev.Anthony Lewis Lambert, Rector of Chilbolton, Hampshire ; d. on his voyage home from Calcutta 13 Sep 1869. MAYNE, HENRY BLAIR, son of Robert Mayne (qv) ; b. 23 Aug 1813 ; adm. 5 Jul 1826 ; KS 1827 ; rowed v.Eton 27 Jul 1829, 12 May 1831 ; elected to Christ Church, Oxford 1831, matr. 21 May 1831, Westminster Student ; BA 1835 ; MA 1838 ; Clerk, House of Commons 1836, Third Clerk, Private Bill Office 1848, Assistant Clerk 1849, Senior Clerk 1862, Principal Clerk, Table Office 1870-86 ; adm.Middle Temple 16 Nov 1838, called to bar 21 Nov 1845 ; member Marylebone, I Zingari and West Kent Cricket Clubs ; played cricket for Kent 1835, 1844 ; one of the committee which framed the rules for short whist at the Arlington Club 1863 ; d. unm. 17 Jan 1892. GWILT, RICHARD BRANDRAM, brother of Charles Perkins Gwilt (qv) ; b. 14 Feb 1814 ; adm. 26 Mar 1821 ; KS 1827 ; elected to Trinity Coll.Cambridge 1831, adm.pens. 26 May 1831, scholar 1832, matr.Mich.1831 ; 2nd Lieut., Ceylon Rifle Regt. 30 Oct 1838 ; Lieut., 10th Foot 8 Apr 1842 ; d. at Meerut, North Western Provinces, India 3 Jun 1845. RANDOLPH, GOWER WILLIAM, son of Thomas Randolph (KS 1801, qv) ; b. 23 Jan 1827 ; adm. 13 Jan 1841 (G) ; QS (Capt.) 1841 ; Capt. of the School 1844 ; elected head to Christ Church, Oxford 1845, matr. 15 May 1845, Westminster Student ; BA 1849 ; BCL 1852 ; DCL 1857 ; Fellow, All Souls Coll. 1851-63 ; Clerk, Privy Council Office 1851-6 ; d. at Madeira 29 Dec 1863. UPPERTON, CHARLES STUART, son of Robert Upperton, Brighton, Sussex, solicitor ; b. 5 Feb 1829 ; adm. 30 Sep 1842 ; QS 1843 ; rowed v.Eton 30 Jul 1846 ; elected to Trinity Coll.Cambridge 1847, adm.pens. 13 May 1847, scholar 1848, matr.1847 ; BA 1851 ; MA 1854 ; ordained deacon 1852, priest 1853 (both Chester) ; Curate, St.Mary the Virgin, West Derby, Liverpool 1852-8 ; Perpetual Curate of Burton, Chester 1858-67 ; Vicar of Ince, Cheshire 1867-86 ; Hon.Canon, Chester, from 1880 ; Vicar of Tarvin, Cheshire 1886-96 ; m. Elizabeth, dau. of Richard Benson Blundell-Hollinshead-Blundell ; d. 5 Dec 1916. LEGGE, GEORGE AUGUSTUS, eldest son of Hon. and Rev. Augustus George Legge FSA, Chancellor of Winchester, and Honora, eldest dau. of Walter Bagot (qv) ; grandson of William Legge, 2nd Earl of Dartmouth (qv) ; b. 8 Jul 1801 ; adm. Mich.1813 ; KS 1816 ; left 1820 ; Christ Church, Oxford, matr. 25 Apr 1820, Canoneer Student 1821-5 ; BA 1824 ; ordained priest 10 Jul 1825 (York) ; Vicar of Bray, Berks., from 27 Jun 1825 ; m. 23 Aug 1825 Frances Augusta, eldest dau. of William Atkins-Bowyer, Braywick, Berks. ; d. 16 Jun 1826. COTHER, WILLIAM, eldest son of William Cother FRCS, surgeon, Gloucester, and Mary Eliza — (IGI) ; b. 8 Nov 1812 ; adm. 20 Jan 1825 ; KS (Capt.) 1826 ; elected to Christ Church, Oxford 1830, matr. 28 May 1830, Westminster Student to 1837 ; BA 1834 ; adm.Lincoln’s Inn 28 Jan 1835, called to bar 19 Nov 1842 ; Oxford Circuit ; practised as a conveyancer in Gloucester ; m. 30 Apr 1850 Marion, youngest dau. of John Warburton MD ; d. at Dinant, France 20 Mar 1870. SNELL, RICHARD HUGH, brother of William Frederick Snell (qv) ; b. 6 Apr 1812 ; adm. 17 Jan 1825 ; KS 1826 ; left 1829 ; at Haileybury Coll. 1829-30 ; Writer, EICS Bengal 1831 ; Assistant Revenue Officer, Benares 1832 ; Assistant to Magistrate and Collector, Benares 1833, Twenty-Four Parganas 1837-40 ; Secretary to Government Savings Bank 1842 ; First Assistant to Accountant-Gen. ; Assistant to Collector of Customs, Calcutta 1852 ; Superintendent of Stamps and Stationery 1853 ; retd. 1 May 1860 ; m. 26 Sep 1832 Letitia Knox, widow of John Shum, EICS Bengal, Assistant to Collector of Customs, Patna ; d. 7 Dec 1899. MARSH, GEORGE THOMAS, brother of Matthew Henry Marsh (qv) ; b. 6 Aug 1812 ; adm. 11 Jan 1825 (G) ; KS 1826 ; Christ Church, Oxford, matr. 17 Dec 1830, Canoneer Student 1830 ; BA 1834 ; MA 1838 ; ordained deacon (Oxford) 1835, priest (Bath & Wells) 1836 ; Vicar of Sutton Benger, Wilts., from 1836 ; Rector of Foxley, Wilts., from 1840 ; m. Frances Elizabeth, sister of Douglas Macdonald (qv) ; d. at Nice 24 Feb 1862. WEBBER, THOMAS CHARLES, eldest son of Daniel Webb Webber KC(I) MP, Leekfield, co. Sligo, and Sarah, dau. 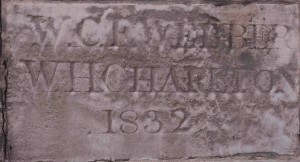 of Charles Wood, Leekfield, co. Sligo ; b. ; adm. 14 Jun 1813 ; KS (aged 14) 1815 ; elected to Trinity Coll.Cambridge 1819, but went to Christ Church, Oxford, mat. 21 May 1819 ; BA 1822 ; MA 1827 ; ordained ; Rector of Castle Macadam, co.Wicklow, from 1826 ; m. 5 Sep 1832 Frances, second day. of Rev.Thomas Kelly, Kellyville, Queen’s County, Ireland ; d. 27 Feb 1845. 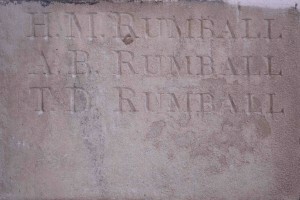 RUMBALL, HENRY MEDLICOTT, son of Thomas Rumball, Great George Street, Westminster, civil engineer, and Mary Anne, dau. of Edward Medlicott, Lisbon, banker ; b. 5 May 1858 ; adm. 23 Sep 1869 ; left Christmas 1874 ; London Univ. ; adm.Inner Temple, called to bar 22 Jun 1887 ; for many years secretary to his father ; engaged in railway construction in Canada 1898-1913 ; returned to England 1913 ; employed at Bank of England for some years ; went to live in the Bahamas ; m.1st, Georgina Hobson, Baltimore, Maryland, USA ; m.2nd, 3 Sep 1914 Ellen, dau. of Archibald White Gibson Mullin, Manchester, engineer and surveyor. RUMBALL, ARTHUR BRUNEL, brother of Henry Medlicott Rumball (qv) ; b. 9 Sep 1863 ; adm. 25 Sep 1873 ; left Christmas 1875 ; at Merchant Taylors’ Sch. 1876-9 ; civil engineer ; chief resident engineer during construction of Delagoa Bay and East African Railway. RUMBALL, THOMAS DRURY, brother of Henry Medlicott Rumball (qv) ; b. 26 Dec 1861 ; adm. 22 Sep 1870 ; QS 1876 ; left May 1880 ; d. at Scutari 8 Dec 1880. RYDE, EDWARD HARROW, eldest son of Edward Ryde, Woking, Surrey, land surveyor, President, Surveyors’ Institution, and Sarah, dau. of Robert Harrow ; b. 20 Nov 1852 ; adm. 27 Apr 1865 ; left Dec 1870 ; adm.solicitor May 1876 ; practised in London ; m.1st, 16 Sep 1879 Frances Sarah, sister of William Holt Yates Titcomb (qv) ; m.2nd, 8 Oct 1924 Mary Emmeline, eldest dau. of Rev.John Fuller, Vicar of Stanground, Hunts. ; d. 20 Dec 1930. 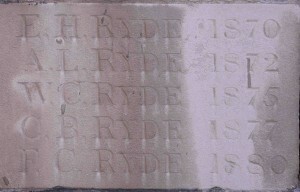 RYDE, ARTHUR LYON, brother of Edward Harrow Ryde (qv) ; b. 8 Nov 1854 ; adm. 27 Sep 1866 ; QS 1869 ; left Jan 1873 ; a surveyor ; ASI Dec 1876, FSI Nov 1880, President 1917 ; practised in Parliament Street, Westminster ; assisted his father with the third edition of Metropolitan Rating, 1881 ; m. 16 Sep 1879 Florence Eleanor, sister of William Holt Yates Titcomb (qv). RYDE, WALTER CRANLEY, brother of Edward Harrow Ryde (qv) ; b. 25 Oct 1856 ; adm. 22 Jan 1869 ; exhibitioner 1870 ; QS 1871 ; elected to Christ Church, Oxford 1875, matr. 20 May 1875 ; BA 1879 ; MA 1888 ; adm.Inner Temple 28 Oct 1878, called to bar 26 Jan 1882 ; adm.Middle Temple 27 Jul 1903 ; KC 1 Nov 1910 ; author, The Law and Practice of Rating, 1900, and other works ; m. 11 Aug 1898 Eleanor, third dau. of William Henry Shaw, St.Leonards, Sussex, Solicitor to Great Eastern Railway Company ; d. 27 Apr 1938. RYDE, CHARLES BERTRAM, brother of Edward Harrow Ryde (qv) ; b. 24 Dec 1858 ; adm. 26 Jan 1871 ; QS 1874 ; left May 1877 ; Agricultural Coll., Cirencester, scholar 1880, 1881 ; a surveyor ; d. 28 Feb 1915. RYDE, FRANK CECIL, brother of Edward Harrow Ryde (qv) ; b. 15 Oct 1862 ; adm. 21 Jan 1875 ( R) ; left Dec 1880 ; an architect and surveyor ; ARIBA 25 Jun 1888, FRIBA 1912 ; practised in Westminster ; m. 2 Mar 1897 Ethel Christina, fourth dau. of William Henry Shaw, St.Leonards, Sussex, Solicitor to Great Eastern Railway Company ; d. 1941. MAUD, HENRY LANDON, brother of John Primatt Maud (qv) ; b. 24 Feb 1829 ; adm. 30 Sep 1841 ; QS 1842 ; elected to Trinity Coll.Cambridge 1846, matr. 23 May 1846 ; BA 1850 ; MA 1881 ; ordained deacon 1853, priest 1854 (both Canterbury) ; Curate, Patrixbourne, Kent 1853, subsequently of Brigstock, Northants, and St.Giles in the Fields, London ; Vicar of Assington, Suffolk 1866-77 ; Vicar of New Milverton, Warwickshire 1877-91 ; Rector of Sanderstead, Surrey 1892-1902 ; m. 12 Jun 1855 Amelia Harriet, youngest dau. of Col.Thomas Powell, Rifle Brigade and King’s Horse ; d. 7 Mar 1909. BRITTON, JAMES, only son of Rev.James Britton, Head Master of Durham GS, subsequently Vicar of Bossall, Yorkshire North Riding, and Isabella, sister of Henry Forster Mills (qv) ; b. 25 Oct 1790 ; in school list 1803 ; KS (aged 14) 1805 ; elected to Christ Church, Oxford 1809, matr.17 May 1809 ; BA 1813 ; MA 1815 ; ordained deacon 6 Mar 1812 (Chester, lit.dim. from York), priest 18 Dec 1814 (York) ; Curate, Ware, Herts. ; Vicar of Great Bardfield, Essex, 17 Jul 1829-40 ; m. 22 Aug 1818 Julia, dau. of Richard Down, Bartholomew Lane, London, banker ; d. 18 May 1871. Probably: BROWN, GEORGE FRANCIS, son of John Brown, Batcombe, Somerset ; b. 12 Nov 1828 ; adm. 28 Sep 1841 ; QS 1843 ; elected to Trinity Coll.Cambridge 1847, adm.pens. 13 May 1847, scholar 1848, matr.1847 ; ordained deacon 1854 (Guiana), priest 1857 (Bath & Wells) ; Curate, St.Ives, Cornwall, 1859, subsequently Batcombe, Somerset, and Bridport, Dorset ; d. 14 Jun 1872. LITTLEDALE, CHARLES RICHARD, eldest son of Charles Littledale (qv) ; b. 1 Jan 1807 ; adm. 14 Apr 1819 ; KS (Capt.) 1820 ; Capt. of the School 1824 ; elected head to Christ Church, Oxford 1825, matr. 16 May 1825, Westminster Student ; BA 1830 ; MA 1831 ; adm.Lincoln’s Inn 16 Jun 1829, called to bar 22 Nov 1833 ; Northern Circuit and Liverpool Sessions ; JP Berkshire 1863 ; m. 16 Jun 1835 Emily Charlotte, dau. of Charles Hammersley, Park Crescent, London ; d. 19 Jan 1892. ROBINSON, JOHN ELLIL, brother of Francis Robinson (qv) ; b. 11 Sep 1807 ; adm. 17 Sep 1819 ; KS 1821 ; elected to Trinity Coll.Cambridge 1825, but went to Christ Church, Oxford, matr. 21 May 1825 ; BA 1829 ; MA 1832 ; adm.Lincoln’s Inn 12 Mar 1829 ; ordained deacon 1832, priest 2 Jun 1833 (both Oxford) ; Curate, Kirtlington, Oxfordshire 1832-4, Bicester, Oxfordshire 1834-5, Charlton on Otmoor, Oxfordshire 1835-7 ; Vicar of Chieveley, Berks., 13 May 1837-82 ; m. 16 Jul 1834 Maria, third dau. of Rev.Edward Rowden, Vicar of Highworth, Wilts. ; d. 17 Jul 1899. PRESTON, JOSEPH, only son of Capt.Thomas Preston, Royal Navy, and his first wife Sophia, dau. of Joseph Clover ; b. 28 Dec 1826 ; adm. 11 Jan 1841 (G) ; rowed v.Eton 29 Jul 1845 ; Trinity Coll.Cambridge, adm.pens. 16 Jun 1845 ; 33rd Wrangler 1849 ; BA 1849 ; MA 1852 ; ordained deacon 1860, priest 1861 (both London) ; Curate, St.Michael’s, Chester Square, London 1860-2, Wymondham, Norfolk 1863-6, Reymerston, Norfolk 1866-74, St.Helen’s, Norwich 1875-82 ; m. 29 Jul 1862 Marian Anne, sister of William Graham Green (qv) ; d. 13 Feb 1900. Perhaps: GLYN, EGERTON ROBERT, youngest son of Thomas Clayton Glyn (qv) ; b. 23 Jan 1827 ; adm. 5 Jul 1837 (G) ; QS 1841 ; rowed against Eton 1 Aug.1843 ; left 1844 ; at Haileybury Coll. 1845-6 ; Writer, EICS Bombay 1847 ; Third Assistant to Collector, Kaira 1848 ; Second Assistant to Collector, Surat 1849 ; d. at Bombay 8 Sep 1852. TWISS, QUINTIN WILLIAM FRANCIS, only son of Horace Twiss QC MP, Vice-Chancellor, Duchy of Lancaster, and Conservative politician, and his second wife Anne Louisa Andrewenna, widow of Charles Greenwood, and sister of Charles Stephen Francis Sterky (qv) ; b. 13 Mar 1835 ; adm. 2 Oct 1843 (G) ; QS (Capt.) 1849 ; Capt. of the School 1852 ; elected to Christ Church, Oxford 1853, matr. 18 May 1853, Westminster Student 1853-61 ; BA 1857 ; MA 1860 ; Third Class Clerk, Treasury Aug 1856 – Jan 1860 ; Assistant Private Secretary to Parliamentary Secretary to Treasury Jun 1859 – Jan 1860 ; Assistant Superintendent, County Courts Department Jan 1860 – 91 ; a well-known amateur actor and famous “Old Stager” in the Canterbury week ; his name formerly appeared in nails in the centre of the floor of School, and it was on this spot that boys who misbehaved in form were told to “stand out” ; m. 11 Apr 1861 Fanny Shelley, second dau. of William Henry Covey FRCS LSA, Wilton Street, Belgrave Square, London, surgeon ; d. 7 Aug 1900. UPPERTON, CLEMENT, brother of Charles Stuart Upperton (qv) ; b. 11 Mar 1834 ; adm. 3 Jun 1847 ; QS 1849 ; left 1853 ; Christ Church, Oxford, matr. 19 May 1853 ; BA 1858 ; MA 1865 ; adm.Middle Temple 14 May 1857 ; adm.solicitor, Hilary 1865 ; practised in Lincoln’s Inn Fields, London, firm Baker Folder & Upperton ; m. 19 Dec 1871 Emily, widow of James Lillyman Martel Lees, and dau. of John Brady MD MRCS LSA MP, Ely, Cambridgeshire ; d. 12 Apr 1918. HAGGARD, MARK, fourth son of John Haggard (qv) ; b. 30 Jan 1825 ; adm. 30 Jun 1835 ; QS 1839 ; rowed against Eton 26 Jul 1842 ; elected to Christ Church, Oxford 1843, matr. 9 Jun 1843, Westminster Student ; won University Pairs with William Henry Milman (qv) 1843-5 ; rowed against Cambridge 1845 and in Oxford Eight at Henley 1847, 1848 ; BA 1847 ; MA 1850 ; ordained ; Curate of St.Paul’s, Bedminster, Somerset ; d.unm. at sea on way home from Madeira 10 Apr 1854. 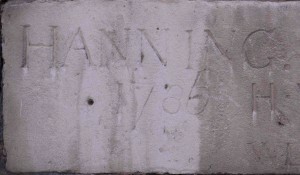 HANNING, WILLIAM, son of John Hanning, Dillington, Somerset, and Susan, dau. of Thomas Harvard, Barrington Court, Somerset ; b. ; adm. 22 Feb 1785 ; Queen’s Coll.Oxford, matr.18 Nov 1788, aged 18 ; MA 1793 ; adm.Inner Temple 13 Nov 1789 ; of Dillington, Somerset ; m. 1800 Harriett, dau. of Edward Lee, Pinhoe, Devon ; d. 15 Apr 1834, aged 66. WILLIAMS, HERVEY VAUGHAN, eldest son of Sir Edward Vaughan Williams (qv) ; b. 5 Apr 1829 ; adm. 12 Apr 1842 ; QS 1843 ; rowed v. Eton 29 Jul 1845, 30 Jul 1846, 29 Jul 1847 ; Capt. of the School 1847 ; elected head to Christ Church, Oxford 1848, matr. 28 Jun 1848 ; BA 1852 ; d. 4 Nov 1852. MILMAN, WILLIAM HENRY, eldest son of Very Rev.Henry Hart Milman DD, Dean of St.Paul’s, and Mary Anne, youngest dau. of Lieut.-Gen.William Cockell, Sandleford Lodge, Berks. ; b. 25 Apr 1825 ; adm. 5 Oct 1835 ; QS 1839 ; elected to Christ Church, Oxford 1843, matr. 9 Jun 1843, Westminster Student 1843-58 ; BA 1847 ; MA 1850 ; rowed v.Cambridge 1845, 1846 ; President, OUBC 1846 ; ordained deacon (Oxford) 1849, priest (London) 1850 ; Curate, Christ Church, Regent’s Park, London, subsequently Hoxton, Middlesex ; Librarian, Sion Coll., 1856 ; Rector of St.Augustine with St.Faith, City of London, from 31 Jan 1857 ; Minor Canon of St.Paul’s from 17 Feb 1859, Senior Cardinal from 1875 ; m. 13 Dec 1884 Juliet Margaret, elder dau. of Sir George Campbell KCSI MP ; d. 9 Jun 1908.
COOPER, ALLEN TREVELYAN, son of Allen Cooper (qv) and his first wife ; b. 11 Jun 1825 ; adm. 17 Jan 1838 ; QS 1839 ; elected to Trinity Coll.Cambridge 1843, adm.pens. 29 May 1843, scholar 1844, matr.Mich.1843 ; BA 1847 ; MA 1852 ; ordained deacon 1848, priest 1849 (both London) ; Chaplain to Embassy at Lisbon ; Curate, Buckland, Devon, subsequently Swanscombe, Kent ; m. 16 Mar 1865 Lucy Evans (IGI) ; d. 24 Jul 1866. WROTTESLEY, EDWARD JOHN, only son of Cdr. Edward Wrottesley, Royal Navy, and Anne, dau. of Rev.Thomas Tringham ; grandson of Sir John Wrottesley, Bart. (qv) ; b. 9 Nov 1814 ; adm. 26 May 1826 ; KS 1829 ; elected to Trinity Coll.Cambridge 1833, but went to University Coll.Oxford, matr. 23 May 1833 ; BA 1838 ; MA 1855 ; ordained deacon 1838, priest 1840 (both Chester) ; Curate, Newton Heath, Lancs., 1838-41 ; Perpetual Curate of Tettenhall, Staffs., 1841-62 ; Curate, Totteridge, Herts., 1862-3 ; Vicar of Brewood, Staffs., from 1863 ; Prebendary of Lichfield from 1895 ; m. 8 Apr 1847 Mariana Eugenia, dau. of John Jeffreys, Fynone, Swansea, Glamorgan ; d. 19 Jan 1901. LITTLEDALE, ARTHUR, son of Charles Littledale (qv) ; b. 12 Dec 1815 ; adm. 12 Jun 1828 ; KS 1829 ; left 1833 ; at Haileybury Coll. 1834 ; Writer, EICS Bengal 1834 ; arrived in India 26 Sep 1835 ; Assistant to Commissioner of Revenue and Circuit, Bauleah 30 Aug 1836, Dacca 1838 ; Magistrate at Faridpur, Dacca, Murshidabad and Mymensingh 1843, Tipperah 1849, Sylhet 1850, Rajeshahye 1851, Purnea 1854 ; Collector, Sarun 1857 ; Civil and Sessions Judge, Nudda 1859 ; retd. 1 Aug 1861 ; m.1st, 28 Oct 1835 Henrietta Catherine, only dau. of George Ewan Law (qv) ; m.2nd, 20 Jan 1853 Emily, dau. of Richard Barnes; d. 2 Sep 1888. 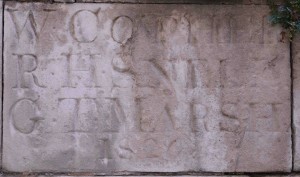 BARNES, WILLIAM, eldest son of Samuel Barnes FRCS, Great Duryard, Exeter, surgeon, and Juliana, dau. of William Speke, Jordans, Somerset ; grandson of Ralph Barnes (adm. 1744, qv) ; b. 25 Jan 1817 ; adm. 24 Sep 1828 ; KS 1829 ; left 1834 ; Christ Church, Oxford, matr. 4 Jun 1835, Canoneer Student 1835-40 ; BA 1839 ; MA 1865 ; a banker at Exeter, firm Sanders & Co., by 1845 ; JP (1858) Devon ; m. 2 Jul 1840 Lucy, fifth dau. of Walter Long, Preshaw House, Hants. ; d. 21 Jan 1892. FORSHALL, FREDERICK HALE, son of Rev.Josiah Forshall FRS, Chaplain, Foundling Hospital, and Keeper of Department of Manuscripts, British Museum, and Frances, only dau. of Richard Smith, Harborne Heath, Staffs. ; b. 18 Nov 1829 ; adm. 3 Feb 1843 ; QS 1844 ; elected head to Trinity Coll.Cambridge 1848, adm.pens. 5 Jul 1848, scholar 1849, matr.Mich.1848 ; emigrated to Australia 1849 ; a private tutor at Sydney, New South Wales ; Sydney Univ., matr. 1852, Chancellor’s Prize for Greek Iambics 1853 ; Librarian, Sydney Univ. ; returned to England 1855 ; followed the occupation of a coach ; ordained deacon 1885, priest 1886 (both Bath and Wells) ; held various curacies, but gave up holy orders 20 Nov 1894, under the provisions of the Clerical Disabilities Act ; author, Westminster School past and present, 1884 ; d. 11 Aug 1901. 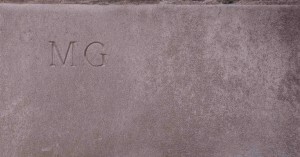 INGRAM, HENRY MANNING, eldest son of Hugh Ingram, Steyning, Sussex, surgeon, and Mary, youngest dau. of Rev.Stileman Bostock, Vicar of East Grinstead, Sussex ; b. 2 Aug 1824 ; adm. 14 Feb 1839 ; QS 1839 ; elected head to Trinity Coll.Cambridge 1843, adm.pens. 29 May 1843, scholar 1844 ; won Univ.Racquets competition ; 38th Wrangler and 3rd cl. Classics 1847 ; BA 1847 ; MA 1850 ; ordained deacon 1850, priest 1851 (both Norwich) ; Curate, Sternfield, Suffolk 1850-2 ; Chaplain, Trinity Coll.Cambridge 1852-9 ; Curate, St.Michael’s, Highgate, Middlesex, and Assistant Master, Highgate Sch. 1857-61 ; Under Master, Westminster School Sep 1861 – Dec 1880 ; gave evidence before Public Schools Commission 24 Jun 1862 (Parliamentary Papers, 1864, xxi, pp 449-52) ; on his retirement in 1880 the statutable office of Under Master was abolished ; received pension £200 p.a. until he relinquished it Jan.1890 ; Rector of Aldrington, Sussex 20 Jun 1879-93 ; author, A Letter of Remonstrance to the … Dean of Westminster on his recent invitation to Dr.Colenso to preach in Westminster Abbey, 1875 ; m. 31 Aug 1859 Mary, eldest dau. of George Abraham Crawley, Whitehall Place, London, solicitor ; d. 17 Aug 1911. FULLER, CHARLES JAMES, second son of Frederick James Fuller, Paddington, Middlesex, solicitor, and Mary — (IGI) ; b. 27 Aug 1825 ; adm. (G) 3 Apr 1839 ; QS 1840 ; elected to Christ Church, Oxford 1844, matr.31 May 1844, Westminster Student ; migrated to St.Mary Hall, Oxford ; BA 1848 ; MA 1851 ; ordained deacon 1849, priest 1850 (both Worcester) ; Curate, Leek Wootton, Warwicks. ; Missioner, St.Mary’s, Primrose Hill, London 1867-85, Vicar 10 Nov 1885 – 22 Jul 1889 ; Hon.Secretary, Elizabethan Club 1867-70 ; m. 9 Jun 1874 Emily Mary, dau. of John Peter André, St.Mark’s Square, London ; d. 24 May 1891. MACLEAY, WILLIAM SHARP, eldest son of Alexander Macleay FRS, Speaker, Legislative Council, New South Wales, and Elizabeth, dau. of James Barclay of Urie [county] ; b. 30 Jul 1792 ; adm. 19 Apr 1806 ; left 1810 ; Trinity Coll.Cambridge, adm.pens. 7 Jun 1810 ; BA 1814 ; MA 1818 ; attaché, British Embassy, Paris ; Secretary to Board for liquidating British claims in France 1815 ; attached to Mixed British and Spanish Court for abolition of Slave Trade, Havana 1825-37, successively as Commissioner of Arbitration 1825, Commissary Judge 1830, and Judge 1836 – ret 1 Feb 1837 ; went to live in New South Wales, Australia 1839 ; a distinguished zoologist ; author, Horae Entomologicae, 1819-21, and other works ; d.unm. at Elizabeth Bay, Sydney, New South Wales, Australia 26 Jan 1865. DNB. MACLEAY, SIR GEORGE, brother of William Sharp Macleay (qv) ; b. 29 Jul 1809 ; adm. 8 Jul 1822 ; family correspondence indicates that he was expelled Feb 1827; went out to Australia 1827 ; accompanied Sturt on the expedition down the Murrumbidgee and Murray rivers 1829-30 ; farmed Brownlow Hill estate, New South Wales 1831-59 ; member, Legislative Council, New South Wales 1851-6, Legislative Assembly 1856-9 ; CMG 30 Jun 1869 ; KCMG 5 Mar 1875 ; returned to England 1859 ; subsequently resident in south of France ; interested in horticulture, zoology and the fine arts ; member, Society of Dilettanti 1869 ; m.1st, 1842 Barbara St.Clair, dau. of James Innes, Thrumster, Caithness ; m.2nd, 15 Jan 1890 Augusta Annie, dau. of William Gardner Sams, Launceston, Tasmania, Australia ; d. at Menton, France 24 Jun 1891. DNB s.v. Alexander Macleay. WEBBER, WILLIAM CHARLES FYNES, eldest son of James Webber (qv) ; b. 1 Jan 1815 ; adm. 5 Apr 1826 ; KS 1829 ; elected head to Christ Church, Oxford 1833, matr. 23 May 1833, Westminster Student ; BA 1837 ; MA 1839 ; an Usher at the School 1837-40 ; ordained deacon 22 Dec 1839, priest 20 Dec 1840 (both Oxford) ; Perpetual Curate of Maiden Bradley, Wilts., 1842-4 ; Rector of St.Botolph’s, Aldersgate, London 6 Jun 1845 – 3 Aug 1876 ; Minor Canon of St.Paul’s 2 Dec 1851 – 23 Dec 1858, Sub-Dean from 23 Dec 1858, Succentor 1859-75 ; m. 19 Apr 1853 his cousin Catherine Mary, eldest dau. of William Charles Webber (qv) ; d. at Lausanne, Switzerland 27 Jun 1881. CHARLTON, WILLIAM HENRY, son of Rev.William Henry Charlton, Vicar of Felmingham, Norfolk, Domestic Chaplain to Duke of Dorset ; b. 17 Dec 1814 ; adm. (G) 26 Jan 1826 ; KS 1829 ; elected to Trinity Coll.Cambridge 1833, adm.pens. 4 Jun 1833, scholar 1834, matr.Mich.1833 ; BA 1837 ; MA 1841 ; ordained deacon 1838 (Rochester), priest 20 Oct 1839 (Peterborough) ; Rector of St.George’s with St.Paul’s, Stamford, Lincs., 12 May 1840 ; Domestic Chaplain to Marquis of Exeter 1846 ; Rector of Easton, Lincs., from 12 May 1848 ; m. 17 May 1843 Sarah, eldest dau. of Thomas Hippisley Jackson, Stamford, Lincs., solicitor ; d. 2 May 1874. WASON, RIGBY, eldest son of Peter Rigby Wason MP, Corwar, Ayrshire, barrister, and Euphemia, dau. of P.McTier, farmer ; b. 17 Jul 1844 ; adm. 17 Oct 1859 ; Ensign, 16th Foot 28 Apr 1863 ; Lieut., 24 Aug 1866 ; 1st Dragoon Guards 30 Oct 1867 ; d. 25 Nov 1870. WASON, JAMES, brother of Rigby Wason (qv) ; b. 29 May 1847 ; adm. 28 Sep 1861 ; left Whitsun 1864 ; adm.solicitor Mich.1869 ; practised at Liverpool ; m. Minna Holland ; d. 3 Oct 1896. HARLEY, ROBERT WILLIAM DAKER, eldest son of John Harley, Ross Hall, Shropshire, and Anna Maria Platt, dau. of Robert Smith, Pontypool, Monmouthshire ; b. 3 Apr 1846 ; adm. 28 Sep 1860 ; rowed v.Eton 28 Jul 1864 ; left Aug 1865 ; Magdalene Coll.Cambridge, adm.pens. 20 Oct 1865, matr.Mich.1865 ; succeeded to estates of Earls of Oxford under the will of Jane, Lady Langdale, daughter of Edward Harley, 5th Earl of Oxford (qv) ; of Brampton Bryan, Herefordshire ; DL JP Herefordshire, High Sheriff 1883 ; JP Shropshire 1880, also JP Radnorshire ; m. 17 Dec 1878 Hon.Patience Annie Rodney, only dau. of Robert Dennett Rodney, 6th Baron Rodney ; d. 13 Nov 1907.